What Should I look for in a Disaster Restoration Company? Ask the Expert. . . What Should I look for in a Disaster Restoration Company? Some of the most common answers are: a handyman, friends or family, a company that can help with only part of the cleanup, or a Disaster Restoration Company. Handymen are great for a repairs for normal home wear and tear or upgrading small fixtures around your home. However, most handymen are not equipped with the proper equipment and training to inspect and identify all affected materials. It is very easy to miss a small wet spot in your home to the untrained eye. That spot could grow and start to develop mold—causing even more damage to your home. A Disaster Restoration Company will have all the necessary tools and training to detect any potential or ongoing threats to your home. Friends and family are great for asking to help because often times, they will help you at no cost. However, if you have a friend in your home, and he or she is helping you take out wet carpet and pad and doesn’t disengage it properly, they could ruin your carpeting making it unsalvageable. If your insurance company does cover your loss, they might not be willing to replace materials that were disposed of improperly. Also, friends and family do not come with insurance policies to protect your interest, proper training, or safety equipment putting you and them in danger and responsible for further damage. Are you willing to ask your friend or family member to replace all the materials they damaged or put them in danger? If so, are you willing to risk your relationship with that person asking them to cover the cost of the damages? Other companies might be willing to help extract water or set fans after a flood. However, these companies also run the risk of not having the adequate training to dry out your home effectively and mitigate any chance of microbial growth. Without proper knowledge of how to dry an area out correctly, equipment charges are going to add up because it will take double or triple the time to dry out. Along with an improper dryout, materials like drywall, baseboard, and carpeting may all be tossed because the company didn’t have the proper training to restore those materials. With all the rain we have received lately, we have had numerous calls for Flood Cleanup. A number of those calls came from clients who used a Janitorial Company or Cleaning Company to extract the water and dry the affected area instead of a Disaster Restoration Company. The main complaints we received from clients regarding the other companies’ services was the bill they received from them was very high and/or they wondered why their home still wasn’t dry after several days after the equipment had been placed. After inspecting one client’s home in this situation, ARS Representatives found outdated equipment set in rooms that were already dry, faulty equipment that could have electrocuted anyone moving it or caused a fire due to the exposed wiring, and no equipment set in rooms that were still wet. All of the equipment was improperly placed as well– preventing proper circulation needed for optimal drying condtions. Often times, when a homeowner tries to save a buck or two by calling in a friend or a handyman to help after a disaster, it ends up costing the homeowner more in the long run. Had the homeowner called a Disaster Restoration Company intially, they could have saved more money because the job was efficiantly completed to industry standards. They should be well established in your community with reputable reviews from local customers and are willing to provide references. The Disaster Restoration Company will be certified through the IICRC or another recognized Disaster Certification Firm and be able to provide proof of each of their certifications. All of their certifications should be current as well. 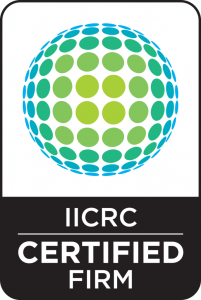 ARS Cleanup is a Certified Firm through the IICRC. The company should have adequate Liability Insurance to protect your interests and your home. Disaster Companies often times work hand in hand with your insurance company to provide you with the most accurate estimate of the work that needs to be done. They should have extensive knowledge on how to process claims and provide any needed paperwork to your insurance company upon request. Depending on your situation, ARS may be able to send a Representative to your home at little or to no-cost in a timely manner. When they arrive, the Representative will be able to give you an idea of what needs to be done, a rough estimate of the cost, and a timeline of what will happen and when. Before you call the handyman, give us a call. It could save you a bundle in the long run!